Our mission and goal,are to provide or clients with the freshest quality food products, as well as courteous and professional service personnel. 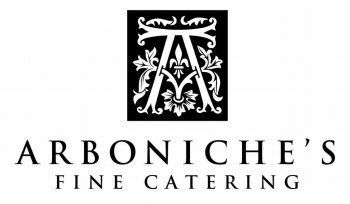 Arboniche's Fine Catering provides its services to groups of 50-1000+ guests, formal seated meal, served buffet or self serve buffet. Smaller groups are on case by case basis. Custom Menus are available upon request.